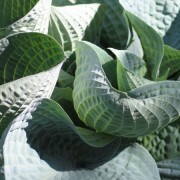 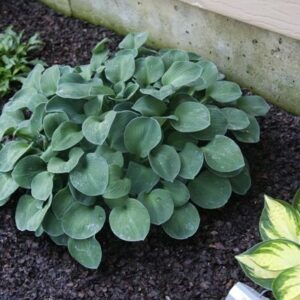 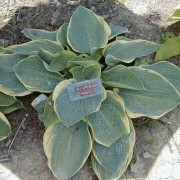 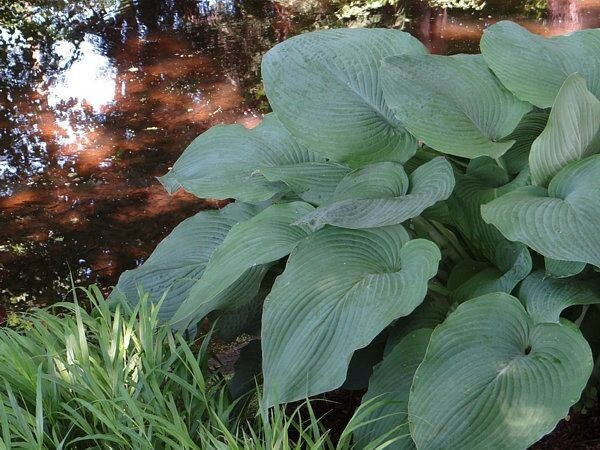 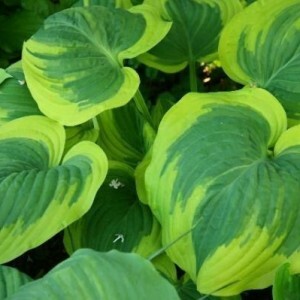 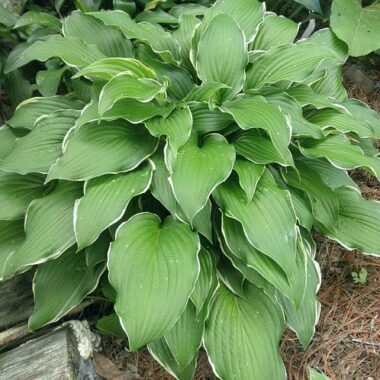 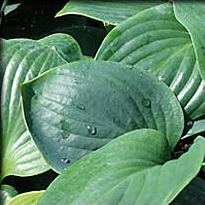 Big Foot Hosta – Enormous, intense blue leaves are heavily substanced, slight corrugation. 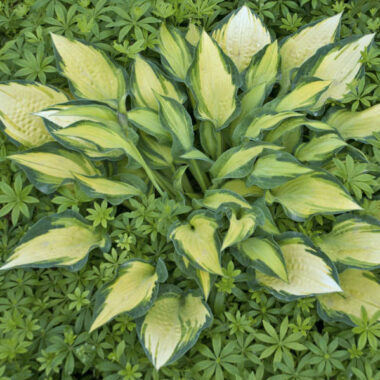 Near white flowers in June. 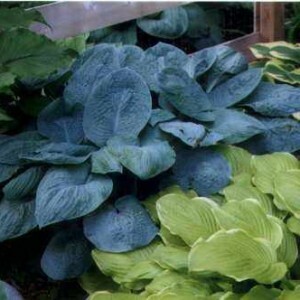 Large: 32″ x 72″ wide huge mound of blue with rugose, leathery, blue leaves; dark green leaves that measure 17″ long by 13″ wide; (17-20 vp).